Elizabeth ( Lizzie ) Waters has been the proprietor and Registered manager of waters park House for the past 10yrs. She is an experienced trained nurse with over 40yrs experience working within hospital settings and, setting up and running successful businesses providing support for brain injured person and caring for the needs of the elderly diagnosed with dementia and associated disorders. Caroline Murphy - Director of Clinical Services currently heads the clinical nursing team. 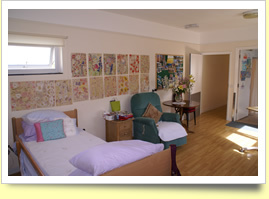 Caroline is a Registered Mental Nurse with over 25 years experience in nursing and management. With her approachable manner, Caroline is key to making everything work. Essential support and ancillary staff are employed to ensure all administration, meal provision and domestic services are maintained to a high standard. Johan our chef and his teams well ordered kitchen provides clients with delicious, well presented home cooked meals. Individual dietary requirements are happily catered for. He delights in baking all of our clients a home made cake on their Birthday. Carefully selected professionals are here to help. 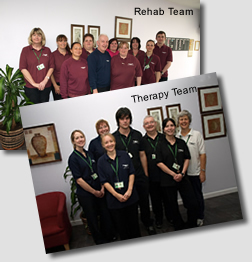 Occupational Therapists supported by therapy assistants, physiotherapist, educational tutor, counsellor, team coordinator, four team leaders and up to thirty rehabilitation assistants who deliver the highest possible quality care to our clients.